Sometimes in Hollywood a project has to be canceled because of everything from money to licensing issues. 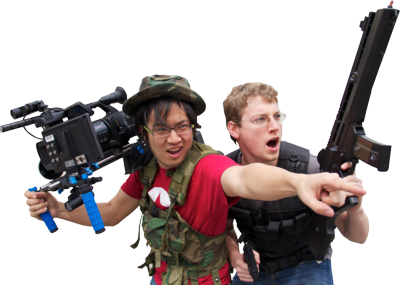 And with Freddie Wong‘s long-time production partner Brandon Laatsch, things are no different. 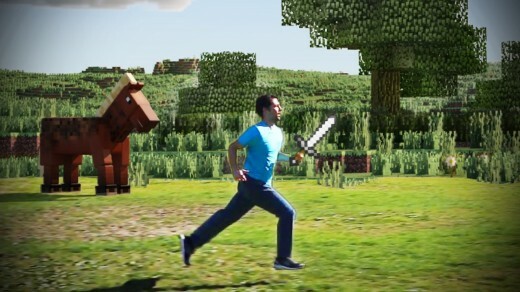 The YouTube director, had announced a Kickstarter campaign for a feature film called “Birth of Man,” which would’ve taken place within the world of the video game Minecraft. But while Mojang, the game’s producers, encourages their players to create their own user-generated content, they seem to draw the line when someone wants to make a movie without their permission. Funny that. Designed to be a mix of live action comedy and CGI based on graphics from the video game, “Birth of Man” was seeking to raise over $600,000 with a crowdfunding campaign on Kickstarter. And it was off to a good start, too, raising about 10% of its goal in the first 24 hours. But that’s when it all went wrong. Mojang, the distributor of Minecraft encourages users to create their own content, but with one caveat. Attempting to make any money, even if it’s just raising funds to make the movie based on the Minecraft IP (intellectual property) is against the Mojang’s terms of service. So Laatsch had little choice but to cancel the project after it just barely got started. Markus Persson (aka Notch), Mojang’s owner and CEO took to twitter to explain the situation, and what it comes down to is that Mojang is defending their copyright since if they were to allow a movie to be made without securing the rights, then it wouldn’t stop anybody else, even a major studio, from releasing a movie based on Minecraft due to prescedent. And even further, a Minecraft clone could also be released by anyone else as well, diluting the popular brand further. Laatsch took to Twitter to say that Mojang initially supported the project, but that they had some issues with the rewards and that they would prefer that Laatsch’s product seek simple donations, rather than a formal fundraising campaign. “They are against having rewards, I like rewards,” Laatsch tweeted. “Donation only feels wrong to me. So I need to change it up a bit.” Therefore, if anything, he and other Minecraft fans can take away from Notch’s Tweet, is that maybe, just maybe, a deal can still be made. And Birth of Man can still have a future. Lesson learned. In other news, Laatsch also took to Twitter to answer fan questions about the fate of his long time creative partnership with Wong, and apparently, they’ve gone their separate ways. I rather saw this coming as Wong’s star has risen higher and higher with VGHS, Laatsch continued to stay in the background, presumably behind the scenes. But as VGHS continued to pickup steam, Laatsch’s presence was somehow missing. Now we know why. And yeah, sometimes, that happens too.